As a member of the Euroculture staff I teach research seminars, the introductory module, methodology and a bit of Eurocompetence III. I supervise the Intensive Program (IP) topics and Master theses. 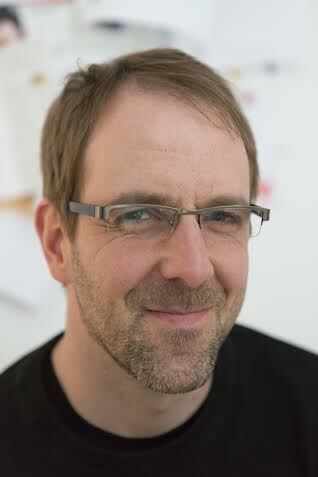 My job also is to coordinate the curriculum with the partners at the three Faculties that are involved in Euroculture in Göttingen (of Social Sciences, Humanities and Theology) and at our partner universities. And, of course, to do research. 2) What is special about Euroculture Goettingen, compared to other Euroculture universities? The library, the Mensa and the sports facilities make an important part of what is so special and attractive in Göttingen on the whole. We have our own buddy program to make sure that the students integrate well at the university and not just amongst the other Euroculture students. We also support many different activities and events amongst the students. It works well and is of course at the very heart of our concept of exchange, mutual learning and understanding. Our whole approach in Göttingen is determined through an interest in the actual meeting of people. How do we encounter each other, how is that meeting- the perception of each other and the exchange of perspectives influencing everybody involved? Martin Tamcke, our Director of Studies, stands for this approach in many ways. This interest shows theoretically with an emphasis on transculturality, identities and belonging, or (Self-)Americanisation et al., and with seminars on peace and conflict or postcolonialism. The regional focus comes through the research interests of our staff members and the traditional fields at the university: India, USA and transatlantic relations, Egypt and Russia. 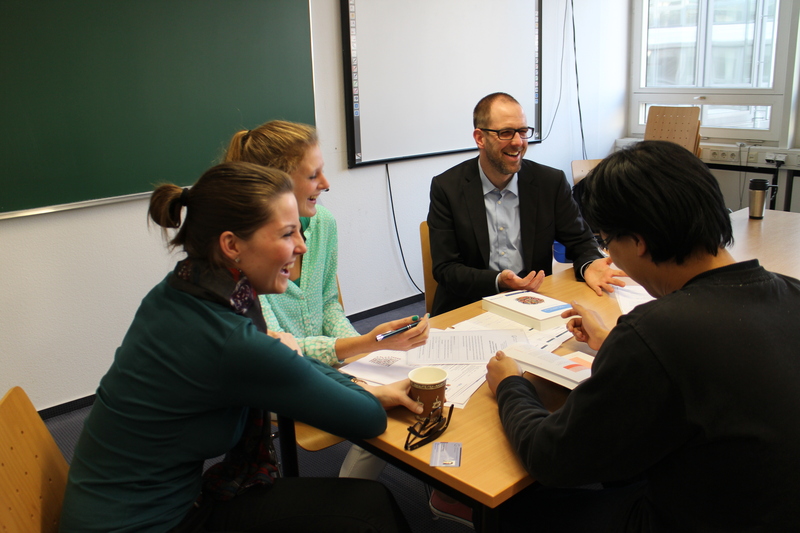 3) Your main job in Goettingen revolves around teaching, researching and supervising. Among those, what makes you feel most alive? Well, most alive of course is when I’m teaching and discussing research topics with students. Research is not as lonely an endeavor as one might think and can be great fun, but you need endurance and there are times when you indeed do not feel as alive as in a classroom. 1) Your research interests are War and war reporting in the 20th century, US Foreign Policy after WWII, History of the media, Generational theories, and postmodern literature. How are the five topics connected, if they are? Good question! Roughly speaking, you could say that all of the topics have to do with communication and the dealing with and transgression of boundaries in many ways. First, communication. My interest in war reporting was a result of the impression that it was not working out, and the belief on the side of many journalists and researchers in overcoming past problems turned out to be unfounded. So one could say more precisely that it is the miscommunication that is most interesting to me, and the question of how to turn things around. And then, transgression of boundaries, which I research on with regard to Europe. There is a similar interest in the many so-called “generations” that are out there: Where does this idea of having to draw a line, of doing things differently now come from? How is it followed up on? Which conflicts are there – or not? What about the continuities? Why does one insist on inventing a new generation? There are certainly similar questions of communication and of boundaries also with regard to postmodern literature and the certain resistance to “traditional” forms of literature, with the blurring of author, text, reader et al. But my interest here is also a bit of a comic relief in dealing with the absurdities in world and life. After having read Joseph Heller’s “Closing Time”, for example, you have some distance again to war efforts and security politics. 2) Why are you interested in those topics, especially World War II and the US? Is there any special reason for this? My interest is in the Post-World War II-era, not in World War II really. Again, a bit of a coincidence. When I started studying in my Magister (before BA-MA) at the Freie Universität Berlin, I was enrolled for Philosophy as a major and History at the Meinecke Institute as a minor – still looking for a second minor. Of my four history classes in the first semester, three were at the Kennedy-Institute for North American Studies. The teachers there, the students, the whole atmosphere with the student-run coffee place, the “Caféte”, was so great and inspiring. They had classes on “Film and History” and the like! So I got really fond of interdisciplinary regional studies there already. My time was split between JFKI and the Philosophical Institute very soon, I never really went back to the Meinecke Institute. That is how it started. The focus on the US was secondary then. 3) What’s your current research project? And how’s it coming along? It is on citizenship in Europe. When dealing with the whole discourse on European identity, I did not think that it was really going somewhere, although it certainly deals with many important and challenging questions. But if approached with an emphasis on citizenship rather than identity, the feeling of what “Europeanness” actually means and why we are still discussing and working on that thing called Europe, the whole issue gets more fruitful – at least for me. So I am working on that and it is going quite alright. 1) Outside of Europe, you’ve been a visiting scholar in the US, India, and a short-term lecturer in Australia. In which country, did you feel most European, and why? This question is rather hard to answer. There are certain moments when you feel that there must be something very strange and exotic about you – when people want to take photos with you in India, for example. But apart from that I do not feel European, or German for that matter, in other countries, but try to experience the place and get to know people and be empathetic. 2) Inside Europe, you’ve been a visiting scholar in the Netherlands, and a short-term lecturer in France, Sweden, and Spain. In which country, did you feel most German, and why? Similarly difficult, but my immediate reaction would be: In the Netherlands. Having grown up so close to the Netherlands (three hours or so by car), having grown up with “Plattdeutsch” being spoken at home, I thought it would be easier to understand Dutch and to communicate more directly. But while most Dutch I met spoke German, had learned it at school even, not even my understanding of Dutch progressed as I had hoped. So being German in that sense felt like an obstacle. 3) When do you feel most proud to be European and when do you feel most ashamed(?) to be European? “Pride” is a category that I am not really thinking in or using. “Shame” maybe more so. There are many things that I would consider as not working, on many levels. So one can say that it is a shame sometimes to see how people can just decline to cooperate and take responsibility – or worse, lack any interest in it. There are enough examples, be it facing wars and conflicts, be it in environmental issues, in which very narrow-minded and short-sighted interests are considered to be more important than larger issues. That makes me not only ashamed, but angry. 1) Many Euroculture students are worried about getting a job after graduation. Some even say that they are in a ‘rat race’. Any advice for this? As far as I can see, there is no reason to be worried. But it all depends on what you expect. Expecting to get a leadership position within two months after graduation might not be realistic. So patience and a realistic outlook seem important to me. Our students are well-qualified and they have a lot of skills and competences that graduates of other programs do not have. Most of all, there seems to be a Euroculture-type of students with personal qualities you need to master a program like ours with its many disciplines, diverse people and universities: a great interest in people, places, culture; so great curiosity vis-a-vis the world; the ability to interact with people and to be mobile. These really help not only in finding a job, these are great qualities that will show. 2) Any book or movies you’d like to recommend to Euroculture students who are in the crossroad of their lives? While talking earlier, Don DeLillo’s “White Noise” or Ang Lee’s wonderful movie “Ice Storm” came to mind. They might help at a crossroads. Apart from those, I tend to recommend the books by one of my Philosophy professors, Peter Bieri, who writes under the pseudonym, Pascal Mercier, “Perlmann’s Silence” (for those who do not want to go into academia, probably, since it is about academia), or, if you can cope with the pathos, “Night train to Lisbon”. In all of these, the protagonist has to deal with important changes in life, with fears, and has to take decisions. 3) Your favorite German saying to finish with, to encourage Euroculture students? Again, inspired by the previous question, a phrase comes to mind that is neither my favorite saying, nor particularly German, but a very fitting one. The Deutsche Theater Göttingen distributed postcards once saying “Alles wird gut” – “Everything will be fine”. That is promising too much, obviously, and things indeed might become very boring when everything suddenly is fine. But still, a positive and composed outlook helps in many ways. All the best to you as well! Thank you! Editor’s words: We express our sincerest gratitude to Dr. Lars Klein who gladly agreed to share his invaluable professional & personal stories with The Euroculturer.